A simple explanation of conditional sentences. Enjoy it! The above downloadable teaching material is meant for high school students at Intermediate (B1) and Upper-intermediate (B2) level. 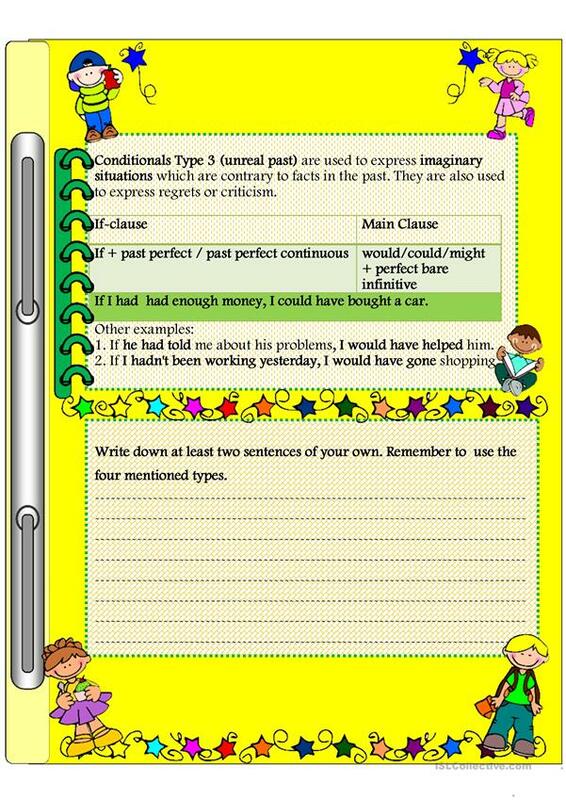 It is valuable for practising Conditionals in English, and was designed for improving your students' Writing skills. It centers around the theme of Language functions. My name's Katia.l'm 37 years old. I have 3 children. I'm fond of teaching. I would love to be a member of this wonderful site. It's an honour to be one.